Error Code 0x80070424 – What is it? The error code 0x80070424 is a Windows PC error. It may occur when using Windows update, Microsoft Update or while trying to change Windows Firewall settings. This error does not allow you to enable or disable Firewall on your PC. It is quite common on Windows 7 and Vista. Symptoms of error code 0x80070424 include Windows Firewall may not be listed on Services.msc, inability to change Windows Firewall settings and you may come across this error message when restarting your PC, “Base Filtering Engine Service could not be found in the system”. When you encounter this error code on your system, it is recommended to fix it immediately as this error can lead to serious PC damages. To resolve the error code 0x80070424 here are some of the best DIY solutions for you. By following these solutions, you can fix the error all by yourself. These are simple, easy and quick PC fixers that require no technical expertise. Just follow the simple steps and the error will be resolved in the shortest time. If the underlying cause of the error 0x80070424 is Base Filtering Engine Service file corruption, then the best way to resolve it is to download the Firewall and register file from a reliable website. Once you download it extract the zip on your desktop. Double click on both files one by one to confirm their installation on your PC. Once installed, restart your PC and click on start button. Search file type and run and then press enter. When the Run window opens, type REGEDIT and click OK. After that, from the left sidebar navigate to HKEY_LOCAL_MACHINE\SYSTEM\CurrentControlSet\services\BFE. Now simply right click on BFE folder and choose permission. Once that’s done, click on add button and type everyone then press OK to confirm settings. Here you will see the ‘everyone’ added field. After that in the below permission panel, tick the box that says Full Control and confirm. Now close the window and go to menu and type services msc. This will open the service window. From the list search for ‘Base Filtering engine file’ right click on it. 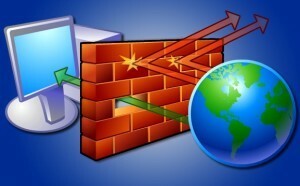 Now search for Windows Firewall and see if you can change the settings. This procedure is mostly likely to resolve the error code 0x80070424 on your PC. It is time consuming but worth it. 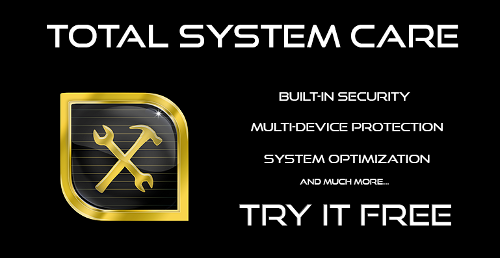 None the less, if the error is triggered by registry issues, then it is advisable to download Total System Care. This is an advanced and a highly functional PC fixer integrated with multiple utilities including a powerful registry cleaner. The registry cleaner utility detects all registry issues on your system and fixes them in seconds. It wipes out excess, unnecessary and obsolete registry entries and files corrupting your system, cleans and restores the registry. It is user-friendly and compatible with all Windows versions. So whether you are using Windows 7, 8, XP or Vista, you can run it on all versions with ease and resolve the error code 0x80070424 generated by registry issues. This software also includes other functional and value added features like an antivirus and a system optimizer. Click here to download Total System Care and resolve error code 0x80070424 on your PC today! Error Code 0x6d9 – The Causes & The Fix!